OPW Fuel Management Systems has announced the release of its new Windows-based fuel management software, Phoenix SQL Lite, for distribution. In addition, they are also offering customers a free, fully functional 60-day trial of the software. 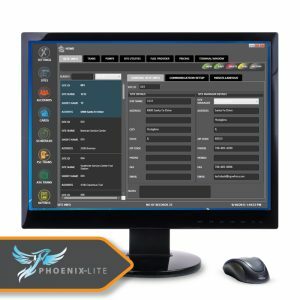 Phoenix SQL Lite replaces the previous OPW Phoenix programs, Phoenix Premier and Phoenix Plus, and supports the OPW FSC3000 Fuel Site Controller-based fuel control systems. Fully compatible with Windows 7, 8, and 10, Lite is designed for easy installation on a single PC-based workstation, and its interface for OPW and third-party automatic tank gauges enables it to perform site reconciliation. for more information, check out the Distributor Bulletin from OPW and the official product page on their site. We would like to remind our customers that on Thanksgiving (Thursday, November 24), all JWK branches will be closed for the holiday, and will be closed for the day after (Friday, November 25) as well. In addition, we will also be closed on Monday, December 26, the day after Christmas, and Monday, January 2, the day after New Year’s. We would like in advance to wish all of our valued customers a Happy Thanksgiving, a Merry Christmas, and a Happy New Year! Gilbarco Bundle $2000 Financing Rebate. Gilbarco has launched their Fall bundle promotion, providing bundle savings of up to $13,500 per site. Customers who utilize the Passport / Encore 700 4 crate bundle and who finance with Patriot will receive a $2,000 rebate check after final funding. Order the Encore 700 S to be eligible for no payments until January 2017 on the dispensers and related installation costs. If you are financing with Patriot, order now to, other than a one month security deposit, make no additional payments until 2017. * Please consult your tax advisor for advice regarding your particular situation. Patriot Capital does not provide tax advice. You can view the official bulletin from Patriot Capital here.